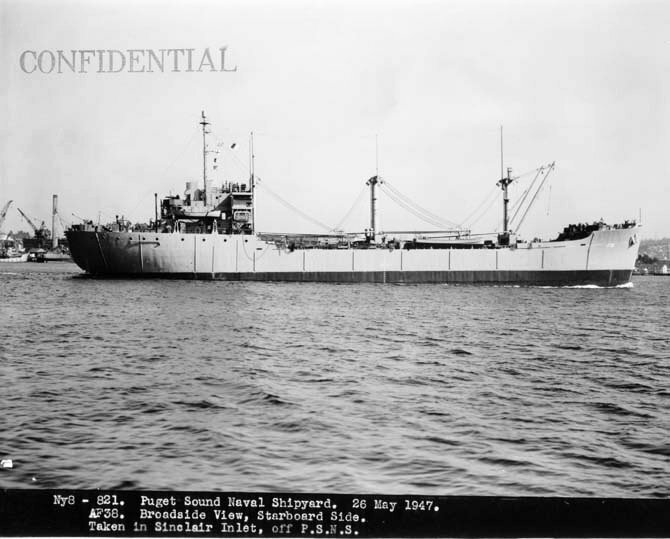 Laid down, 14 August 1944, as a Maritime Commission type (R1-M-AV3) hull, under Maritime Commission contract (MC hull 2202) at Pennsylvania Shipyards, Inc, Beaumont, TX. 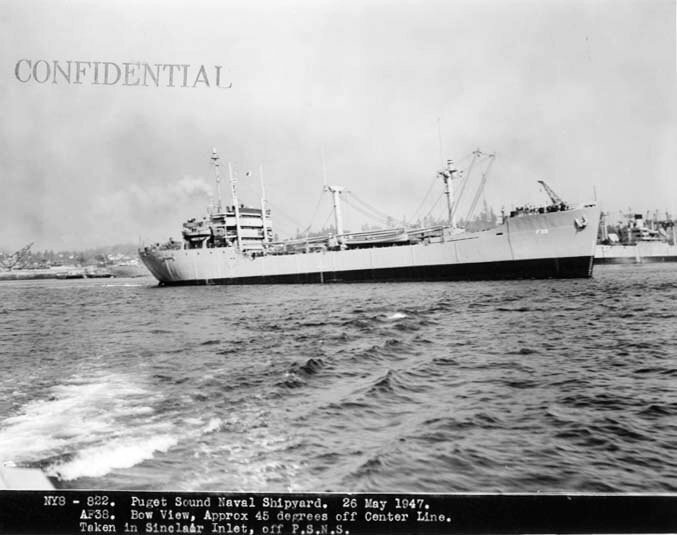 Converted for Naval service at Todd Dry Dock Co., Galveston, TX. 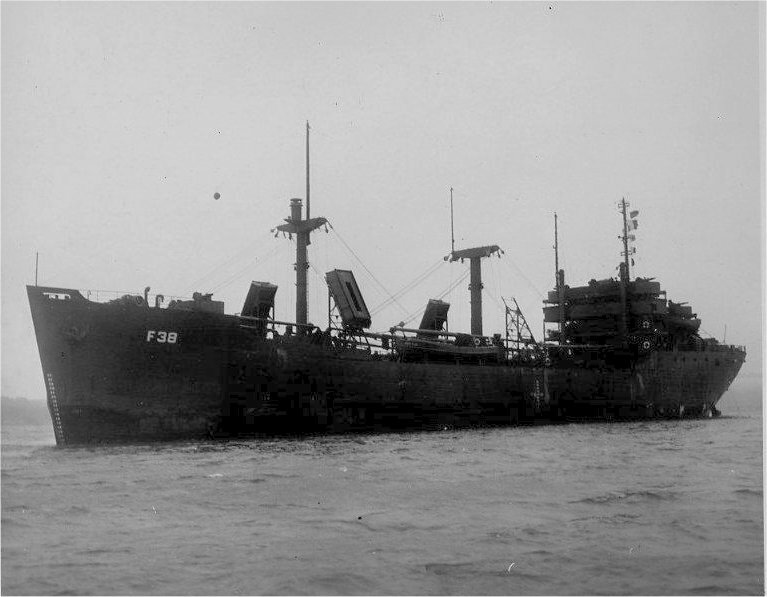 Decommissioned, 18 January 1959, at Astoria, OR. 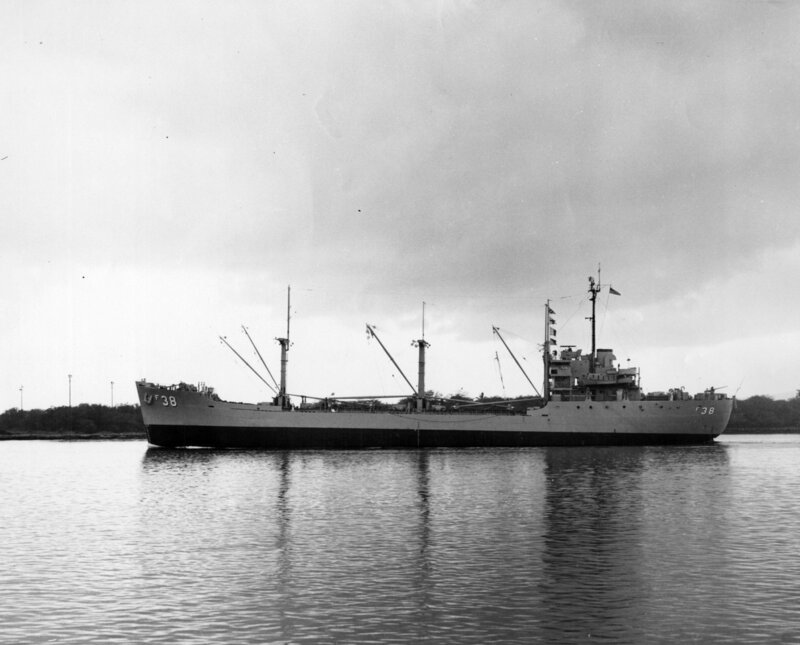 61k USS Merapi (AF-38) underway (Stern view from Aft of Center Line) in Sinclair Inlet off Puget Sound Naval Shipyard, Bremerton, WA., 24 July 1947. 58k USS Merapi (AF-38) underway (Bow view, approximately 45° off Center Line) in Sinclair Inlet off Puget Sound Naval Shipyard, Bremerton, WA., 24 July 1947. 64k USS Merapi (AF-38) underway (Broadside view, Starboard Side) in Sinclair Inlet off Puget Sound Naval Shipyard, Bremerton, WA., 24 July 1947. 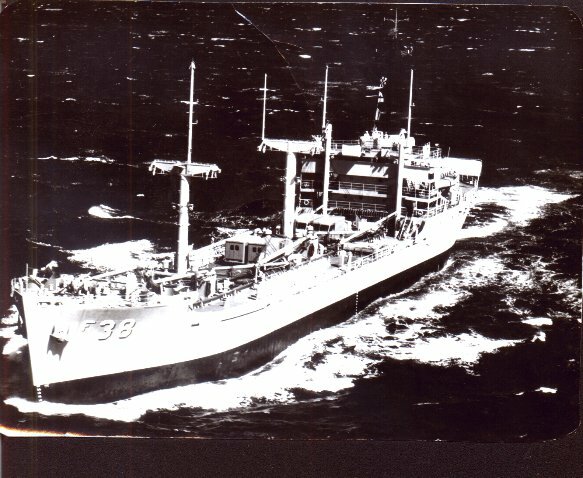 75k USS Merapi (AF-38) underway, circa early-1958 near the end of her active naval career. 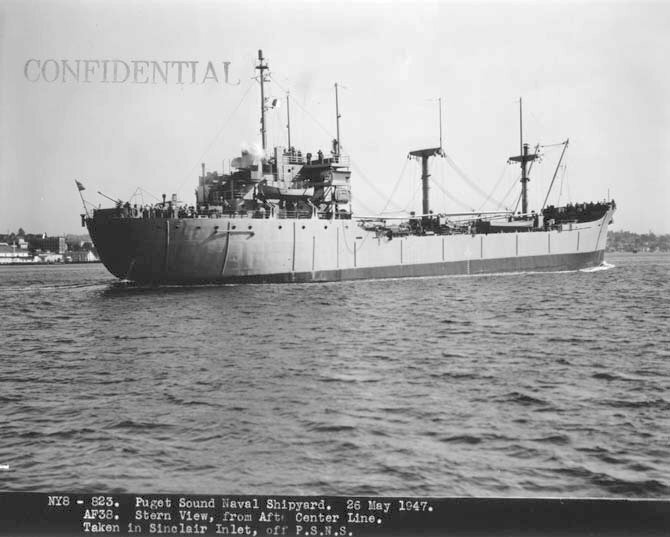 The gun visible aft is a 3"/50 weapon.